The Lasermaxx GALVO easy is a compact laser labelling system for laser marking. 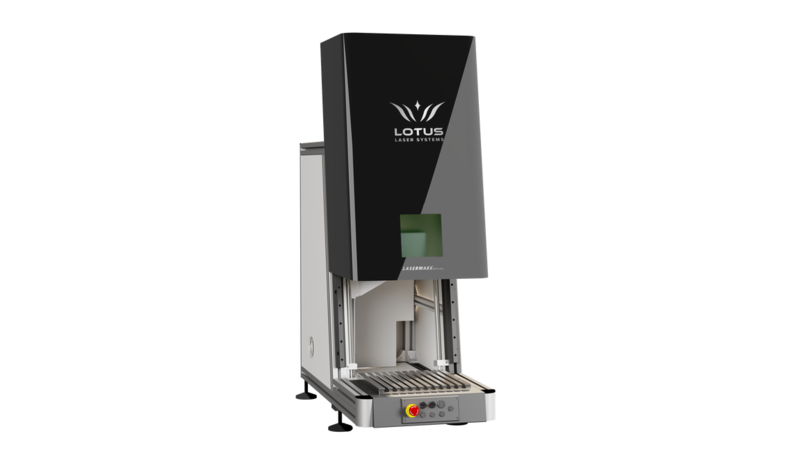 The fiber laser marking station is characterized by the best value for money. In addition to the powerful air-cooled 20-watt pulsed Q-switch fiber laser source, the GALVO easy is equipped with an automatic, pneumatic door that ensures an optimum access to the processing field from three sides. The marking speed is freely selectable. It has a maximum speed of astonishing 3 meters per second. The integrated protective casing secures its laser class 2 so no protective measures need to be taken. A simple operation is achieved through the red trace laser beam, the computer-controlled z-axis for automatic material height adjustment and the intuitive, extensive CAD/CAM software. The processing field is up to 210 mm in diameter. The GALVO easy engraves texts, logos, photos or barcodes in different colorations or depths. Made in UK ensures a high quality that we grant with a long-life warranty.